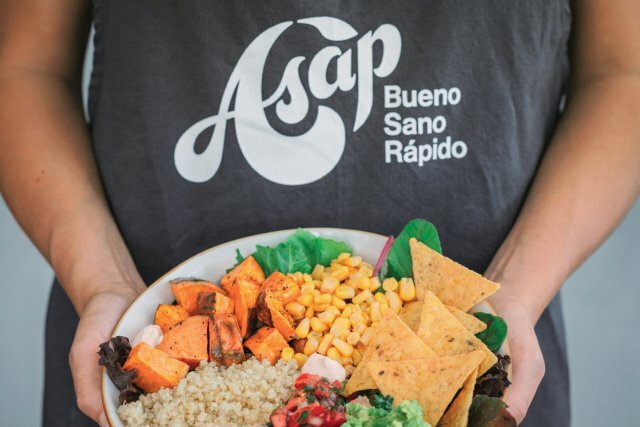 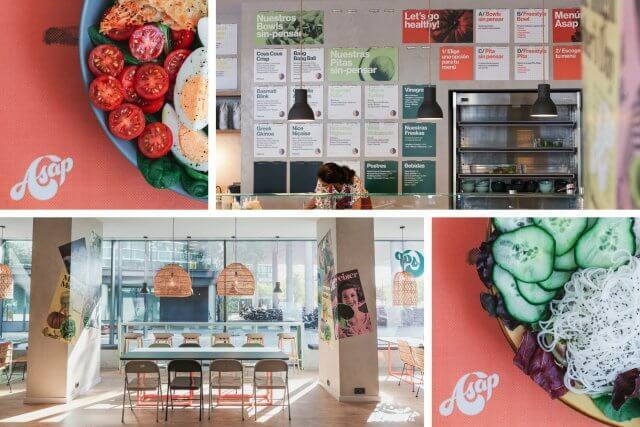 Asap is a chain of restaurants devoted to salads and healthy food. 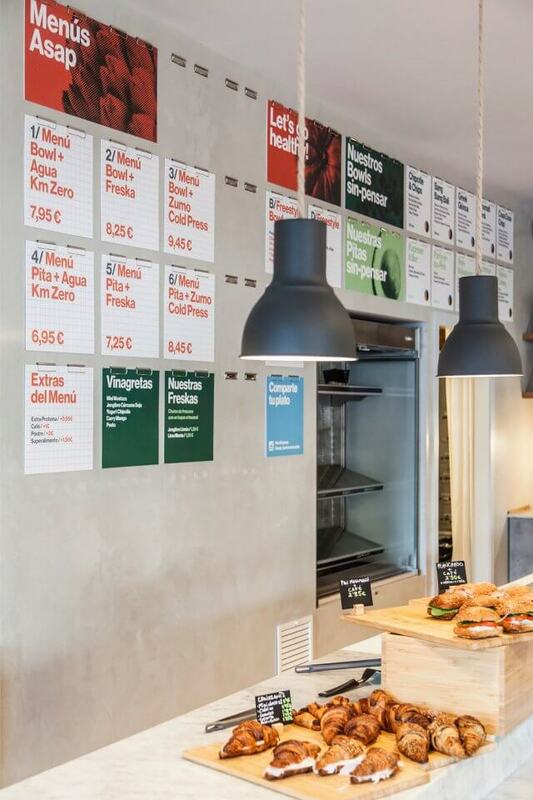 Always located close to business offices, it offers a healthy alternative to fast food. 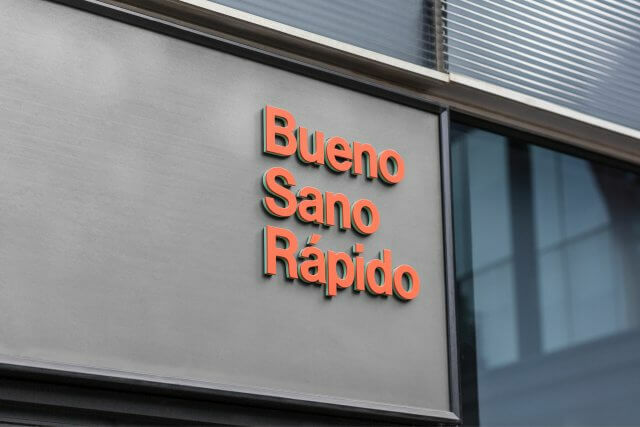 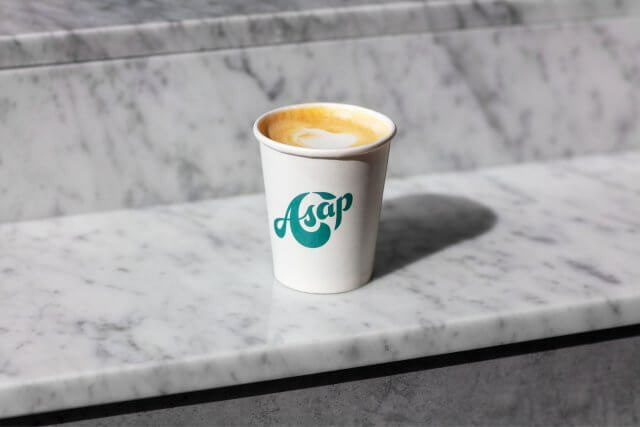 The brand uses typical office mannerisms and language, ironically mixed with traditional vernacular reminiscent of fast food chains. 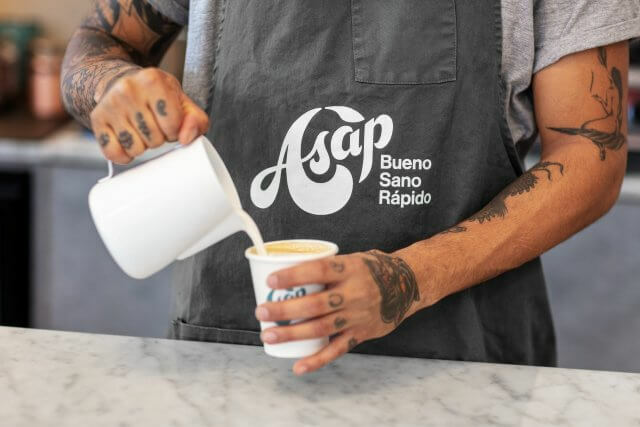 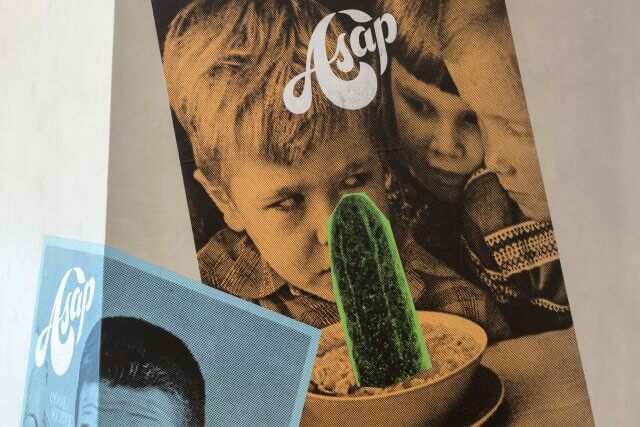 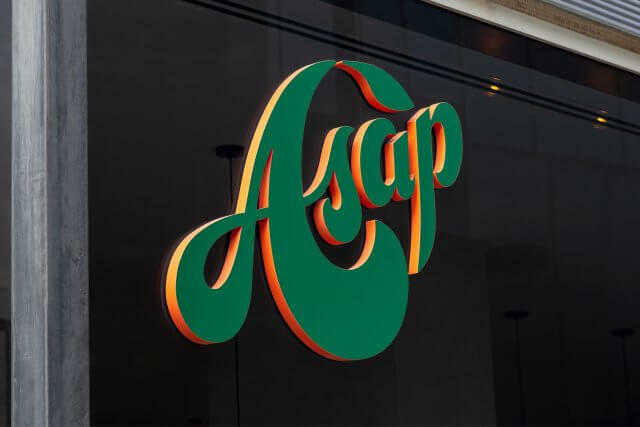 The logo helps to create a brand that feels like it has been around for decades but the term ASAP is clearly a contemporary word. 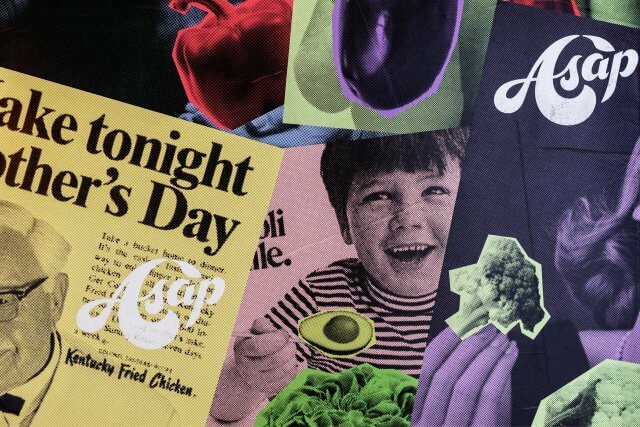 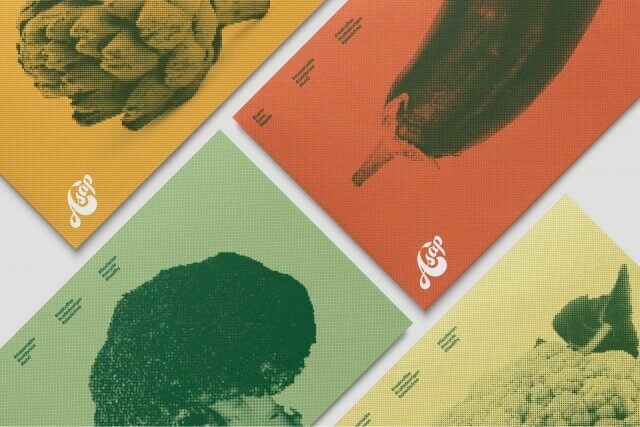 The environmental graphics showcase collages of fast food adverts substituting burgers for vegetables and fried chicken for fruits. 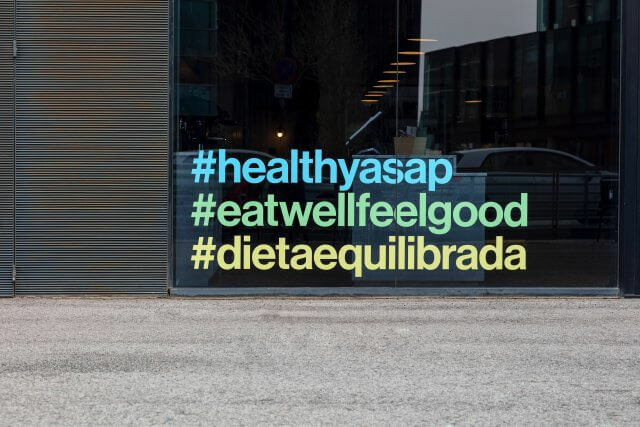 All in all, this brand proposes a new way of eating healthily, not fast, but As Soon As Possible!